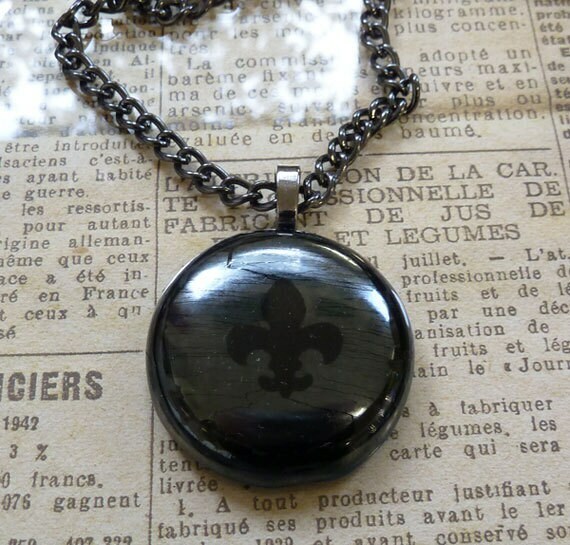 Fleur de lys pendant in black & metallic fused glass. This is a nicely chunky little pendant about 35mm across. It's made from layers of fused glass - steel blue on the back, black above it, and an iridescent silver on top, which has a dull, distressed pewter look to it. It's a very metallic finish. 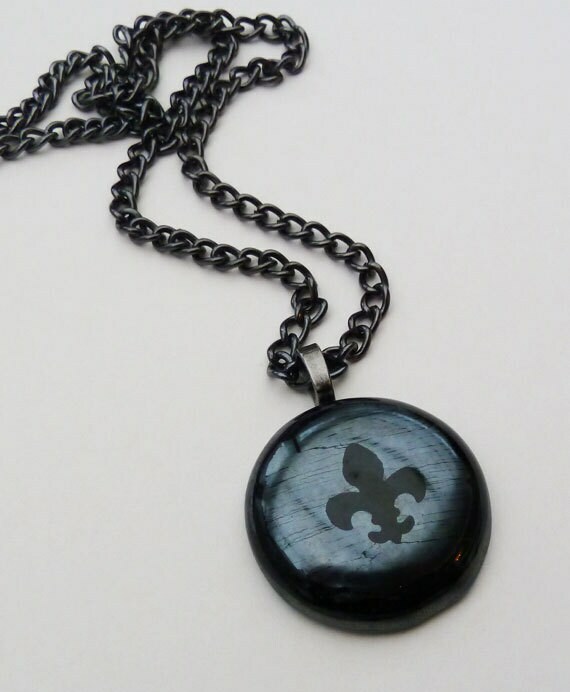 The black fleur de lys has a finish that matches perfectly with the rest of the pendant. It hangs on a heavy, black gunmetal chain, from a gunmetal bail. The whole piece tends towards the goth, with the metal and metallic glass adding a hint of the industrial. It would look good on men or women, and would look good strung on leather or cord instead of the chain too.